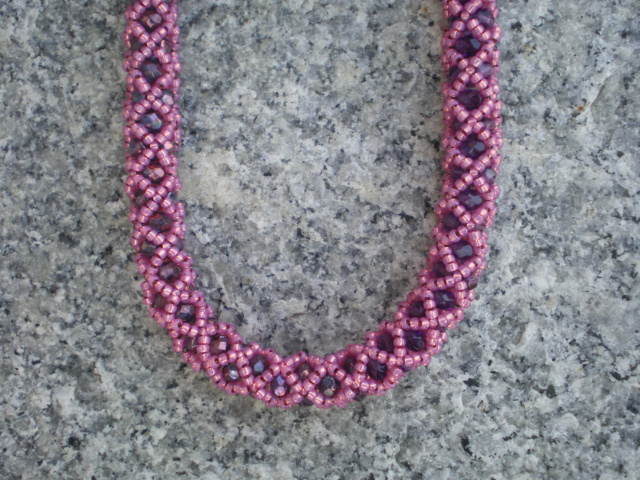 Bead woven 24″Long necklace, made with tawny pink seed beads and 4mm Tanzanite and Amethyst round fire polished beads. 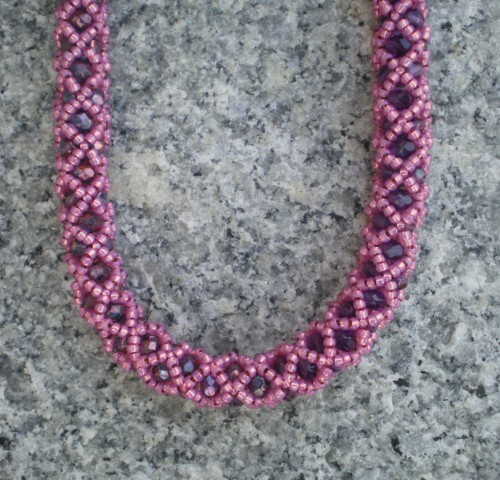 One side of the necklace hs Amethyst and the other has Tanzanite beads. 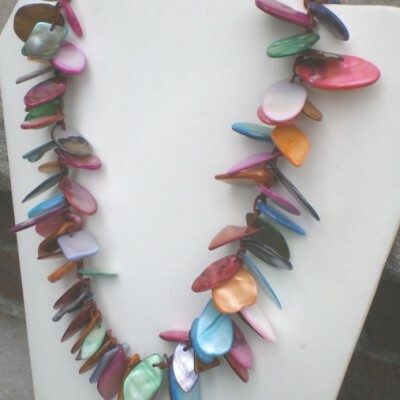 You have 176 fire polished beads in this necklace. 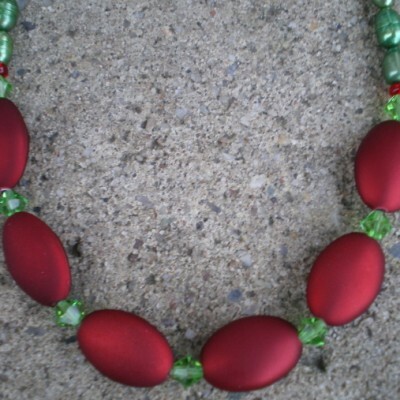 These beads give that shine and glitter almost comparable to Swarovski Crystals. Silver wavy toggle clasp. You can decide to wear the decorative clasp on the side. 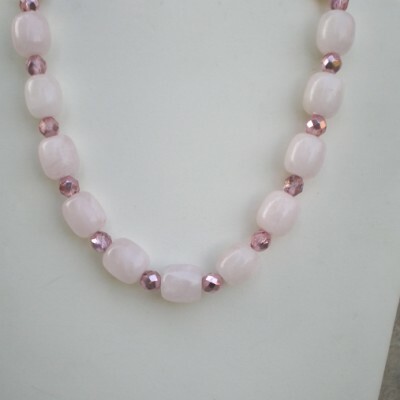 Be the first to review “Pink X and O Beadwoven Necklace” Click here to cancel reply.